President Vladimir V. Putin of Russia arriving in Finland for his meeting with President Trump on Monday. On the way there, the Russian president’s plane passed through NATO airspace without clearance for about 50 seconds. 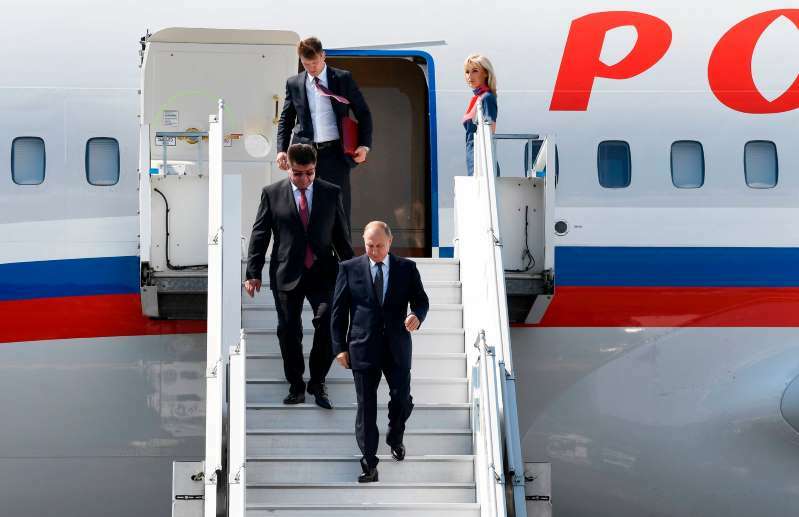 Even before his plane touched down in Finland for a summit meeting with President Trump, President Vladimir V. Putin of Russia, who was widely seen as coming out ahead at the meeting, had notched a victory in the air, the Estonian authorities say. [post_ads]Estonia — small, vulnerable and at the northeastern rim of the North Atlantic Treaty Organization’s mutual security zone — has long been seen as a test case for the alliance’s willingness to resist Russian military moves. The Estonian authorities monitored the presidential flight through the country’s airspace on Monday and released a statement on the illegal border crossing on Tuesday. The flight was also recorded on publicly available flight tracking services .